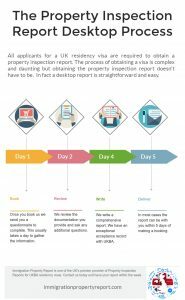 Property Inspection Reports are the stipulated way to satisfy the authorities that this aspect of the regulations is met. Obtaining a Property Inspection Report for UKBA is required to receive a UK settlement visa. It sounds a daunting task but in reality arranging the inspection and receiving the report are straightforward. And they don’t need to be expensive! On-site inspections have the value of an independent voice confirming the property is as claimed. However they can take longer to arrange, are more expensive, and are not possible for large areas of the UK due to a lack of inspectors. For a desktop inspection we send you a questionnaire. You complete this, including providing measurements of the rooms and any supporting documentation. Immigration Property Report work with qualified professionals in Antrim. This means that wherever you are we can help you get your Property Report – and do so quickly and cost-effectively in a respectful way. To arrange your report simply give us a call during office hours on 0141 280 5694. Or complete the form below. We will then contact you to ask you some questions, tell you the documentation we require at the assessment, and arrange an inspection at a time that is convenient to you.